I was recently asked to review a baby change bag. I'm not greedy and I already have a really good one, so I decided to ask a friend of mine who's just had gorgeous baby girl, Evie, to review it for me, so over to you Julie! 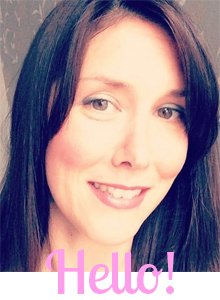 "When Sharon asked if I would be interested in reviewing the Babymel Big Slouchy Dot changing bag I was delighted, as I had just had my second child and was using my old free pram bag, which, to be honest, was doing my head in with its lack of pockets and design! So I excitedly packed up my Big Slouchy and started putting it to the test. Firstly it’s a good looking bag, with a funky black and cream dot design, that is not too girly, so my husband was happy to carry it as well. The shoulder strap was really strong and a good length allowing the bag to be carried over one or two shoulders. 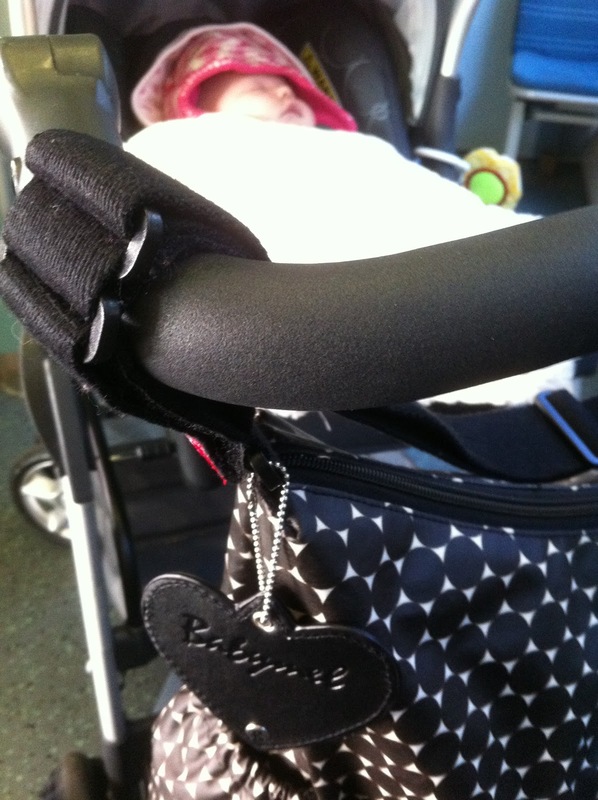 You can also attach it to the pram handle bar using the Babymel stroller straps. These unique stroller straps are a great idea and very handy with our single handle bar pram. The only downside being I found threading the Velcro straps through the plastic hoops a bit fiddly and if you don’t do this then the Velcro doesn’t hold with the bag fully packed up. Talking of packing up...the excellent size of the bag meant I was able to pack to the rafters with the baby stuff and my toddler’s bits and pieces. There were a good number of inner pockets and a handy outer pocket for the things you need close to hand. I found this concealed outer pocket particularly good for my phone and car keys, so I didn’t need to rifle around for them when loaded down carrying a toddler and my baby in its car seat! Inside the bag the removable insulated bottle holder is a good feature and was deep enough to fit two small bottles in it. 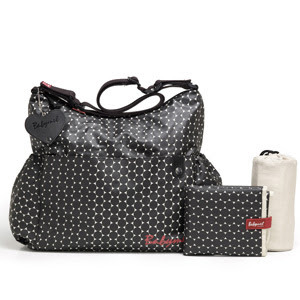 The changing bag also comes with a well padded changing mat in the same printed design as the bag. It was surprisingly big enough to change my 2 year old on and comfy enough for my new born. The only thing I feel the bag could have benefited from was a separate compartment/detachable pocket to keep my nappy/wipes in so you didn’t have to take the whole bag with you. Overall the Big Slouchy is a great accessory for any mum or dad who wants a hardy, good sized bag at an affordable price." The New Babymel Big Slouchy bag retails at £55. We were sent a Big Slouchy Bag to review free of charge. The opinions expressed in this review are nothing but honest. me too Emma! I'd have a whole room dedicated to them if I had the house space! I'd like to be a buggy whore too but they're too pricey! !